ICANN is about to do serious damage to its reputation by making a precipitous, ill-considered leap into the unknown should it follow through on removing price constraints on several legacy extensions, most notably .org. Doing so would expose a global community of non-profits to the risk of quickly-escalating exploitative pricing. The rationale for eliminating price caps relies on three points, all of which are incorrect — 1) that the registries for the legacy gTLDs should be treated the same as the new gTLD registries, that is as owners entitled to capture the entire value of the name spaces, 2) that price competition will restrain prices, and 3) that it is not ICANN's role to set and to regulate prices. Some argue that legacy domain names are currently underpriced and that the registry operators are being prevented from charging what the domain names are "worth". This misconception arises from treating the registry operators of legacy gTLDs as owners of the legacy name spaces. The legacy registries are essentially different from the new gTLD registries. The new gTLD registries bought the right to their "sponsored" gTLDs and created their registration base from scratch. The legacy gTLD registries were contracted to operate pre-existing name spaces that had a pre-existing base of established respondents in return for a contractually determined fee. The value in the name spaces entrusted to the legacy registry operators was not created by them and includes the substantial goodwill created in the domain names by the registrants themselves. Treating a contracted service provider as an owner would enable the legacy registry to deprive the domain name registrants of much of the value that the registrants themselves created. This would be an unjust transfer of wealth, with the registrants receiving no benefit in exchange. If price caps are eliminated, competition will not keep prices in check. Competition is effective in restraining prices only if registrants can easily switch one domain name for another. An organization's domain name becomes its online brand for the life of the organization. Moving to another domain name requires undergoing the hugely expensive and disruptive ordeal of rebranding and is to be avoided at nearly any cost. Organizations wish to continue using their existing domain name, for which there is no adequate substitute. When there is a unique product that cannot be easily substituted for any other, there is no effective competition. In the absence of competition, registrants can be protected from extortionate pricing only through pricing constraints, such as price caps. ICANN as the trustee for the legacy name spaces has the responsibility of an owner. It is ICANN's proper role and responsibility to thwart the legacy registries' efforts to usurp the role of owner for themselves. But as the registries control levers of power and influence throughout ICANN, ICANN staff is currently advocating for its own abdication from the role of owner in order to grant the legacy registries the unchecked ability to raise prices in a non-competitive marketplace. That ICANN staff is promoting such an approach raises concerning structural questions about ICANN's failure to protect the public interest and about the undue influence exerted at ICANN by the registries who stand to benefit from this misguided policy. Who owns the value in legacy domain names? The legacy domain extensions, such as .com, .net, .org and .info have no clear owner, which creates confusion as to who is entitled to benefit from the enormous value in these name spaces. These extensions were created through the U.S. Government, entrusted to ICANN, which in turn contracted with various entities to operate them. These registry operators are service providers, not owners. This confusion does not exist with country code top-level domains (ccTLDs), such as .uk, .de, .nz., .au, and .in. With the ccTLDs, it is clear that these are assets of each respective nation, under the control of the relevant domain authority, not owned by a third-party registry provider. ccTLD domain authorities have demonstrated their ability to look out for the public good by treating the registry operators as what they are — service providers. At times, the ccTLD authorities have put the contract to operate the ccTLD registry out for competitive bid, which usually results in lower fees charged by the registry service provider. If ICANN creates an unstable pricing environment in all gTLDs in which registries can raise prices at will, then registrants and businesses may start migrating to those ccTLDs that offer stable, predictable pricing. ICANN appears fearful of taking on the responsibilities of ownership, which include setting prices and keeping the legacy registries in their place as service providers. By ducking its responsibilities, ICANN has failed its obligations to the individuals and businesses who are domain registrants, and instead are turning them over to be fleeced by the registries. Like a maître d' who acts as if he were the restaurant owner, the legacy registries were engaged to provide a service but wish to be treated as owners, with all the profits that come with ownership. Unlike the registries that won the right to sponsored new gTLDs, the legacy registries did not create the name spaces, did not risk their capital to purchase them, and as a result are not the owners of the legacy name spaces. "the goal of treating the Registry Operator equitably with operators of new gTLDs and other legacy gTLDs utilizing the base registry agreement". The new gTLD operators often paid millions of dollars, and in some cases tens of millions of dollars for the right to all of the value in their sponsored name spaces and for the right to charge whatever price they wish for their domain extensions, that were turned over to them as unpopulated spaces with no existing registrants. The legacy name spaces were created as a public benefit where the value of the domain names was offered to the public at low, and for a time, declining rates. Unlike the new gTLD registries, the legacy registries did not pay to acquire all the value in the name spaces. Unlike the new gTLD registries, the registries of the legacy extensions were entrusted with name spaces that contained millions of existing registrants. Yet ICANN now proposes to simply hand over the value contained in the legacy name spaces to those organizations managing the legacy extensions. One of the apparent reasons that registration rates in the new gTLDs have fallen far below expectations is that new registrants are understandable leery of building their online presence on a domain name whose price could vary dramatically from year to year. In 2017, Uniregistry, the owner of 27 new gTLDs, announced price increases of up to 3,000% for some of its name spaces. When a prospective new registrant has the choice between a domain name with stable pricing, in particular in .com where the U.S. Government has stepped into the void created by ICANN and is looking after the public interest by mandating price stability, it is no surprise that new registrants prefer a stable pricing environment to an unstable pricing environment. Indeed, despite the availability of hundreds of new top-level extensions with wide-open name spaces, and despite many being offered for low, "teaser", first year registration fees, in 2018 the growth in the number of registered .com domain names outpaced growth in the number of registrations in all the new gTLDs combined by over 2 to 1. Some new gTLD registries are learning the importance of offering stable pricing since lack of price stability alienates potential registrants. Uniregistry backtracked on its plan to drastically increase renewal rates on all registrants in certain extensions, by instead grandfathered in existing registrants at the old prices. The largest new gTLD registry, Donuts, took a similar approach when it sharply raised prices on many of its domain names but grandfathered in the current registrants at the lower price levels. Disregarding the demonstrated and common-sense desire of domain name registrants to build their online home in a stable pricing environment, and ignoring the lessons on price stability that even the new gTLD registries are learning, ICANN is pushing forward to destroy the last bastion of stable pricing under its purview by negotiating the removal of price controls in the legacy extensions. ICANN is choosing to take the worst aspects of the new gTLD program and force them on legacy registrants. ICANN's move to eliminate price caps will render registrants in the legacy extensions vulnerable to exploitative pricing from the legacy registries. When legacy registries seek to attract new registrants, they compete with other registries. But when legacy registries charge their existing registrants to renew their domain names, they are largely shielded from price competition since once established on a particular domain name it is not easy for many registrants to switch to a different domain name. For the legacy registries, in particular .com and .org, renewals from their base of established registrants is a far greater source of revenue than from new registrations. As a result, they primarily operate in an environment where they are not subject to effective price competition. Where competition does not restrain prices there is a market failure and external price caps are required for the benefit of registrants. Otherwise the proposal to remove the price cap, on .org in particular, could force registrants to absorb large price increases while receiving no corresponding benefit in return. The Red Cross, for instance, has spent 20 years building an online brand and goodwill in its RedCross.org domain name. The Red Cross cannot obtain the RedCross.org domain name from any registry other than from the .org registry. There is no other domain that it can substitute for RedCross.org that would not destroy the millions of dollars of goodwill that has been invested in this domain name. The .org registry is the monopoly, sole-source supplier of the RedCross.org domain name. It would be cold comfort to the Red Cross if the .org registry increased the renewal price for the RedCross.org domain name to $100,000 per year and ICANN staff blithely reassured the Red Cross "not to worry, you can move to RedCross.group or RedCross.info for less than $25 per year". Giving up its RedCross.org web presence would require that every staff email would need to be updated with every contact. Every link to the RedCross.org website would need to be updated. The search engine ranking of the Red Cross website would be jeopardized. Yet all these switching costs likely pale in comparison to the loss of the credibility, reputation and trust associated in the public awareness with the RedCross.org domain name. If the Red Cross were to move to RedCross.group or RedCross.info, would potential donors trust that they were dealing with the real Red Cross and not with an imposter? Starting over without the benefit of its 20-year web presence on RedCross.org would require the Red Cross to embark on a costly, disruptive and risky campaign to educate its community and to promote its new web address. The availability of cheaper, alternate domain names does not benefit the Red Cross, nor any of the hundreds of thousands of other non-profits who have established web presences on .org domain names. The organizations need exactly what ICANN is proposing to deprive them of — the assurance of stable pricing for their existing .org domain names, not the illusory benefit of the availability of a move to a different lower cost domain name. An example may help. Let us say that you live in a long-established city of millions of people. One day some state officials announce that they are going to remove all price controls from the electric company for your city. The electric company will soon be able to charge whatever it wishes to provide you electricity. The state officials say that it is only fair for your electric company to be able to set fees at any level that it chooses since the state recently allowed the electric companies in some new developments to set fees at whatever level they chose (and these companies paid handsomely for the privilege). Those electric companies are not happy because so few people want to move to their developments (in part, you think to yourself, because the residents have no protection against being overcharged on their electric bill), so to make things even, all citizens in the state will lose their protections from being overcharged on their electric bills as well. When you express concern that your electric company might jack up your rates, the state officials offer the reassurance that the electric company would not be able to increase your rates that much because if you did not like the higher rates you could sell your house and move to a different city. The rationale that "don't worry, you can move" that is clearly absurd in the example from the physical world is being touted as reasonable when applied to the virtual world of domain names. Indeed, the disruption may be even greater in the virtual world of the Internet where one's domain name is indistinguishable from one's online brand. In the physical world, only a compromised and out-of-touch government that did not require the consent of the governed would adopt such policies. What does it say about ICANN that it supports the interests of the registries rather than registrants? The definition of market failure due to a monopoly includes when a "firm has exclusive use or ownership of a scarce resource". The .org registry has been awarded the exclusive rights to the .org name space, and this is the only name space that matters to those registrants who have an entrenched web presence built on a .org domain name. As explained by Elliot Noss, the CEO of the registrar Tucows, it is important to be quite clear when discussing monopolies in connection with domain name registries. As Noss stated, the domain name that matters to him is tucows.com, and Verisign has the monopoly over that domain name. If Verisign were to charge him $10 million per year to renew the tucows.com domain name despite "the bile that would rise" in his stomach he would likely pay that renewal fee because it is only through Verisign that he can obtain the tucows.com domain name and because the domain name is that vital to his business. ICANN is creating a situation where the domain name registries are able to exploit their monopolies over all the online brands that exist within their name spaces to charge extortionate prices should they so wish. This is an example of market failure. The proper remedy in cases of market failure is "setting price controls". Rather than expose the captive registrants within each legacy domain name extension to the possibility of exploitative pricing, it is ICANN's proper role to remedy the market failure created by the lack of meaningful competition by setting reasonable price controls. Price restraints are appropriate when the "restraint alleviates a market failure". In 2006, ICANN itself argued that its award of the .com registry to Verisign as a sole source supplier with presumptive right of renewal did not violate antitrust laws because ICANN's role was to impose the necessary price constraints for the benefit of consumers. ICANN denied that the "limitations placed on VeriSign's authority to raise prices could offend the antitrust laws when, in a single supplier market, price caps are, if anything, procompetitive”. ICANN appears to have forgotten what it knew in 2006, that in a single supplier market, such as with .org domain names for non-profits that have long used a particular domain name as its online home, price caps are necessary to protect registrants from the market power that a sole source supplier has to increase prices without fear of competition. Some might argue that no registry would sharply increase their prices because this would make them unattractive to new registrants. But this too is a fallacy. A registry with a large base of captive residents has no need of new registrants, it can make more money from overcharging its existing registrants than it can from lowering prices in an effort to compete with every other registry for a relatively insignificant number of potential new registrants. Since ICANN came into existence, we have yet to see any evidence that competition has caused prices to fall. Once the registries were free to raise prices, the prices charged by the legacy registries seem to always go up, never down. The registries' own expenses are going down- Internet infrastructure and connectivity costs are falling rapidly. All the evidence demonstrates that the legacy registries are insulated from competition and can keep increasing prices and can keep boosting their profit margins because they have a base of captive registrants that is forced to absorb price increases. Why the magical thinking that despite all the evidence to the contrary that legacy extensions are affected by competition that will restrain them from continuing to raise prices? Let us use New York City as a real word example. New York City has a population of over 8 million people. Will it make more money by raising taxes on its residents, even if it may drive some away and may discourage some people from moving to NYC, or by reducing taxes on its residents in order to attract a few thousand new people each year who might otherwise move elsewhere? When New York City needs more tax revenue it raises taxes. It does not pretend that competition from other cities would require it to lower taxes in order to attract new residents and that the taxes from those new residents would more than offset the drop in taxes collected from its existing 8 million residents. Indeed, even if the taxes were increased, some people would still move to NYC because they need to be there, just as .com and .org attract many new registrants each year even though there are much cheaper domain name options available. For similar reasons, New York state is able to impose a state income tax of up to 8% even though Florida does not have a state income tax. When legacy registries, like .com and .org, have large existing populations of registrants who cannot easily pick and move, they are largely insulated from competition and they can safely increase prices without fear of seeing a mass move of registrants to other registries. This dynamic is borne out by registration numbers in .org. The number of registrations in .org is gradually declining, from 10.4 million as of March 31, 2017 to 10.2 million as of December 31, 2018. .Org is already failing to attract net new registrations. It is not aggressively competing with the new gTLDs by offering discounted registration fees. On the contrary, it is milking its long-established base of registrants for revenues by steadily increasing fees. The .org registry is in the "cash cow" phase of its life cycle. Cash cows are "part of mature, slow-growing industries, have a large chunk of the market share and require minimal investment to thrive." PIR, like managers of other cash cows, increase revenues not primarily by attracting new customers but by raising prices on their existing customers. If PIR raised renewal fees to $50, it could increase its revenues from $90 million per year to upwards of $500 million per year. This compares to ICANN's annual operating budget of $140 million. Not all registrants would renew, but unless the rate of those failing to renew hit 80%, PIR would make more money with $50 renewal fees than by maintaining them at $9.05. That registrants have the option of renewing for 10 years at current rates only delays the inevitable and does not convert a misguided policy into a sensible one. A secondary consideration is that being coerced into prepaying one's renewal fees 10 years in advance to avoid the threat of a price increase also puts registrants in a worse position that they are in now and produces a large windfall for the registry. Further, not all registrants will be aware of the elimination of the price caps and the risk that they face from higher fees, so some registrants will not renew in advance and those registrants would soon face the prospect of higher fees. Once higher renewal fees go into effect, are .org registrants likely to pay higher renewal fees, or would they stop paying to renew? The .org name space is home to a large global community of established non-profits for whom the value of an online identity incorporating ".org" is quite high. Domain investors, who are often quite price sensitive, do not invest heavily in .org domain names. Based on the likely composition of registrants in .org, it is reasonable to expect that by and large the .org registrant base would be forced to absorb price increases rather than give up their domain names. So why stop at $50 renewal rates? The likely supply/demand curve for .org renewals means that PIR may not maximize its revenues at $50 renewal fees, but instead perhaps at $100, $200, or higher. If PIR chose to set renewal fees at $200 per year, it would be extracting $2 billion per year, less those who failed to renew, primarily from other non-profits. Legacy registries therefore have a strong financial incentive to raise prices on their base of long-established registrants who will be forced to swallow the price increases to avoid the disruption of being uprooted. Unfortunately for the non-profits who are the predominant registrants of .org domains, they may soon be unwilling subjects in the first large-scale experiment on what happens when price caps are removed on a captive population of domain registrants. ICANN is failing in its role as trustee of the legacy extensions. It has turned over the powers of ownership to contractors hired to run the glorified databases that are the essence of a domain registry. The value in the .com, .net and .org name spaces runs into the billions of dollars. It is in these extensions that most of the Internet economy makes its home. Yet ICANN has turned over these extraordinary valuable public resources to the contracted registry managers and are permitting the registries to act as de facto owners of these name spaces. ICANN has budget concerns of its own. Why not do as any sensible trustee would and put out the registry services for competitive bid, and then add on sufficient margin to fund ICANN's own operations? Perversely, this is the model that ICANN has adopted in enabling ISOC to fund its operations by marking up prices for .org domains. Between ISOC and ICANN, who should receive the benefits of acting as the owner of the .org name space? Why has ICANN turned over effective ownership of .org to ISOC and now proposes to permit ISOC to mine the .org name space for funds at a level that dwarfs ICANN's own budget? Disregarded by those who developed the terms for the .org, .biz, .asia and .info contract renewals are the interests of the millions of registrants in legacy extensions. The first major legacy extension to bear the brunt of this disruption is .org. ICANN is proposing to forcibly evict .org registrants from the stable pricing environment they have enjoyed and relied upon for over 20 years into an uncertain and unpredictable pricing environment where they could be subject to sharp price increases from year to year. ICANN risks a backlash should registrants find themselves at the mercy of exploitative pricing once price caps are removed. If ICANN is dead-set on removing price caps, the only sensible way to do so would be to grandfather existing registrants at current prices. Price caps could be removed on new registrants going forward so that new registrants could choose their new domain name with the awareness ahead of time that there would be no assurance of stable pricing. Existing respondents would be spared a potentially disruptive and exploitative increase in fees without any corresponding benefits and when in many cases they have no choice but to pay the higher fees. One perpetrator of renewal scam is now using robocalling. Almost everyone who has registered a domain name has received scam renewal notices. The notices, sent via email or postal mail, try to trick you into renewing your domain name with a company other than your domain registrar. Now this scam has moved to robocalls. If you call the number back, the system checks your phone number against its database. I called from Skype and got a message that it was unable to locate the domain name based on my caller ID and asked me to enter my phone number. Then it engaged in reverse domain name hijacking. A cybersquatting case as good as the news it produces. The British tabloid The Sun unsuccessfully tried to buy the domain TheSun.com for $600,000, later resorting to reverse domain name hijacking to try to get the domain from its rightful owner. The publication uses the domain name TheSun.co.uk. The paper first made a $300,000 offer for the domain in 2016. The owner asked for offers of $700,000 or more. Last year, The Sun made a $600,000 offer, only to have the owner request $2.5 million for the domain. After its latest offer was rebuffed, the tabloid filed a cybersquatting complaint with World Intellectual Property Organization under the Uniform Domain Name Dispute Resolution Policy (UDRP). …it is apparent in the Panel’s view that the Complaint has been filed abusively, in an attempt to wrest the disputed domain name from the Respondent’s control after failed negotiations with the Respondent to acquire the disputed domain name for a reasonable market price. The Panel therefore concludes that the filing of the Complaint by the Complainant constitutes reverse domain name hijacking. Allen & Overy LLP represented News Group Newspapers Limited (the paper’s company). ESQwire.com represented the domain owner. Unfortunately, variants don't work. The problem isn't putting them in the DNS; it's that once they're in the DNS, they don't work anywhere else. Let's pretend for a moment that upper and lower case letters are traditional and simplified Chinese characters. If I had a domain name abc, then ABC and AbC would be variants of it. Nobody expects mixed variants to work in a single label, so if I registered abc.def, then likely variants would be ABC.DEF and maybe abc.DEF and ABC.def. What do we have to configure to make this work? The first and most obvious place is the DNS for all the names, abc.def and ABC.DEF. There's no way in the DNS to say that this set of names is the same as that set, so if you're lucky your DNS provisioning system has some way to tell it to put the same records in the variant name's zone that it puts in the main name's zone, or more likely you have to cut and paste. But wait, you probably don't want exactly the same records in both zones. If under the main name abc.def you have a web server named www.abc.def, in the variant do you want it called www.ABC.DEF or WWW.ABC.DEF? Probably the latter. Now either you have to put both www.abc.def and WWW.abc.def in the main zone so both www.ABC.DEF and WWW.ABC.DEF are in the variant zone, or you now need rules that say if names within the zone have variants, rather than copying them, use the variant instead. There are even more complex special cases, but you get the idea. Now let us turn our attention to web servers. In most cases, a web server needs to know all of the names that refer to it, with configuration info for each name. (Unknown names tend to show up as either an error page or "coming soon.") This means that every name defined for the server in the previous step has to be configured into the web server along with where to find pages under that name. Depending on the application, all of the names might show the same web site or they might differ depending on the name, e.g., make the pages match the simplified or traditional name. This generally has to be done by hand, or maybe with ad-hoc scripts that pull the names out of the DNS zone files if the person configuring the web server has access to the name servers in the step. If the web server supports HTTPS, as most do now, there's an additional step: all of the variant DNS names need to be in a signed TLS certificate, either one certificate with all the names as alternate names or one certificate per name. There's no tooling for this, either. For mail servers, the configuration is similar but a little easier, since all of the variant DNS names can have MX records pointing at a single name for a single mail server. But that server again needs to know what all the variant names are that it's expected to handle, and what to do with them, probably deliver to the same mailboxes as the main domain. We can easily think of ways to automate most of the work. One would be standard file formats to describe a registered domain name, its variants, set of DNS names under the registered name, and the web and mail services it supports. Tools could translate that description into the configurations for DNS servers, web servers, mail servers, and so forth. Another approach would be to augment the DNS so a DNS server can answer "what are all the variant names for this main name", which web and mail servers could use to automatically provision the variants for each main name. The key point, though, is that none of these tools exist. It's not for lack of awareness of the problem. People have been pointing it out for years, such as last September in the ICANN Business Constituency's comment on IDN Variant TLDs. Given that we've known about the configuration problem for a long time, we know how to build tools to address it, and after a decade the tools don't exist, the obvious conclusion is that nobody cares. It's quite reasonable to worry about confusion among variants, and it could be unfortunate if different variants of a single DNS name were controlled by different entities. Blocking variants solves that, delegate one version of a name and none of the rest. But having multiple variants active simultaneously, either at the second level as we have now or as TLDs as ICANN's proposing? Forget it. The users don't care, because we've seen that nobody wants them enough to make them work. Centric.com is over $20,000 in the current Great Domains auction. Sedo’s bimonthly Great Domains auction doesn’t end until Thursday but has already attracted some nice bids. Centric.com has met its reserve and stands at $21,722. Presale.com has also met its reserve and has a top bid of $10,999. ZBO.com is close behind at $9,999. Other domain names have higher bids but haven’t met the reserve price yet. Cooking.com clocks in at $149,998, which is well below its reserve price of $250k-$500k. Sedo changed its Great Domains auction from a monthly event to every other month this year and I think it’s paying dividends. Not only do the auctions get more attention but they seem to have better inventory. Other nice names this time include Bootcamp.com, LoveBird.com, Stimulation.com and HardCover.com. When evaluating proposed mergers and breakups, control of data should be considered along with market impact. In a previous post, I spoke of Amazon's use of customer and market data in restraint of trade, but they are not alone. For example, leaked internal documents show that plans to sell access to user data were discussed for years and received support from Facebook's most senior executives. For example, Facebook gave Amazon extended access to user data because Amazon was spending money on advertising and partnered with them on the launch of the Fire smartphone. In another case, Facebook discussed cutting off access to user data for a messaging app that had grown too popular and was viewed as a competitor. As former FCC Chairman Tom Wheeler points out in a recent post, proprietary data is a source of market control, and he cites two examples where opening data has led to competition. In the US, a law mandating open access to video content enabled satellite companies to compete with cable companies and in the UK, open access to customer banking data led about 200 organizations to offer new services in its first year. Establishing data mobility and open standards between services: overcoming network effects which cause markets to tip by requiring systems to 'talk' to each other using open, standardised formats. This will mean consumers can port their data between networks, interact with users on other, similar networks, and smaller firms can plug their services into those of bigger ones. New business opportunities will open up that use, manage, and combine data made available. Consumers, in turn, will have new choices of digital services, with switching made much easier. 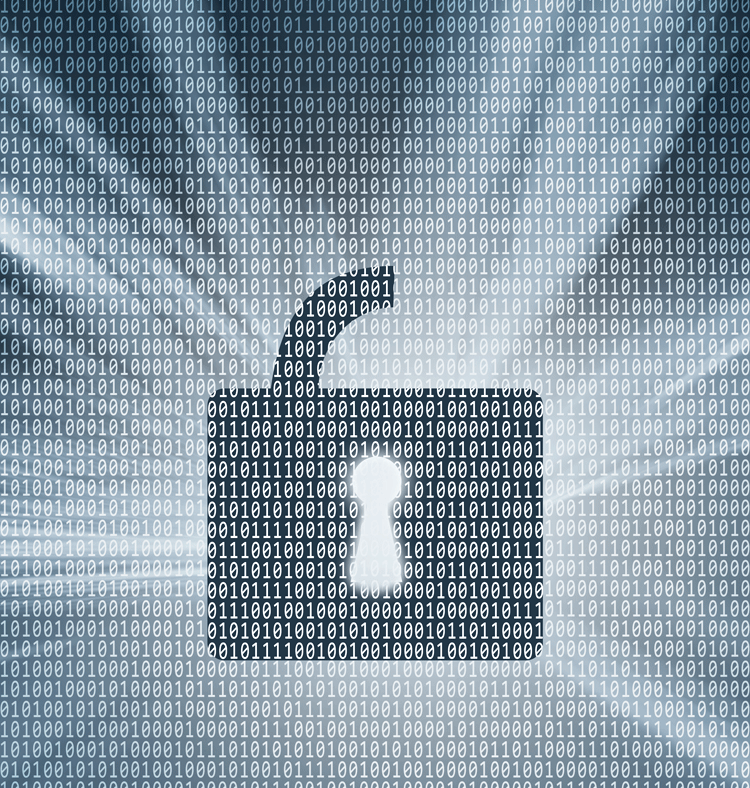 Securing access to non-personal and anonymised data: tackling the data barrier to entry for smaller and newer firms, while protecting privacy. The power of bulk data driving economies of scale and scope is a key reason new firms struggle to compete and bring innovative services to consumers. Overcoming this barrier will allow the digital economy to remain dynamic. Sustain and promote effective competition in digital markets, by establishing a pro-competition digital markets unit, tasked with securing competition, innovation, and beneficial outcomes for consumers and businesses. Take more frequent and firmer action to challenge mergers that could be detrimental to consumer welfare through reducing future levels of innovation and competition, supported by changes to legislation where necessary. Update and effectively use tools against anti-competitive conduct to help them play their important role in protecting and promoting competition in the digital economy. Continue to monitor how the use of machine learning algorithms and artificial intelligence evolves to ensure it does not lead to an anti-competitive activity or consumer detriment, in particular to vulnerable consumers. Conduct a market study into the digital advertising market encompassing the entire value chain, using its investigatory powers to examine whether competition is working effectively and whether consumer harms are arising. Engage internationally on the recommendations it chooses to adopt from this review, encouraging closer cross-border co-operation between competition authorities in sharing best practice and developing a common approach to issues across international digital markets. The two open-data actions mentioned above fall under the first strategic recommendation of promoting competition, but control of data is involved in the others as well. When Amazon acquired Zappos and Whole Foods, they gained access to data on relatively affluent shoppers. Facebook's acquisition of Instagram and WhatsApp and Google's acquisition of Waze also yielded data in addition to eliminating competition. The machine learning recommendation involves training data. When evaluating proposed mergers and breakups, control of data should be considered along with market impact. The last strategic recommendation — international engagement — recognizes the global nature of the Intenet. (Note that an American chaired the Digital Competition Expert Panel). Nations like China and the US have different goals with respect to competition, but democratic, capitalist nations should strive to adopt compatible institutions and policies. In the era of Brexit and MAGA, we need to work with other countries — I'd rather end up with two Internets than fifty. The nearly 400-page copy of the Mueller report released on Thursday includes some details on how Russia's foreign military intelligence agency (GRU), targetted individuals and entities involved in the administration of the U.S. elections. Victims included U.S. state and local entities, such as state boards of elections (SBOEs), secretaries of state, and county governments, as well as private technology firms responsible for manufacturing and administering election-related software and hardware, such as voter registration software and electronic polling stations. "By at least the summer of 2016, GRU officers sought access to state and local computer networks by exploiting known software vulnerabilities on websites of state and local governmental entities. GRU officers, for example, targeted state and local databases of registered voters using a technique known as 'SQL injection,' by which malicious code was sent to the state or local website in order to run commands (such as exfiltrating the database contents). In one instance in approximately June 2016, the GRU compromised the computer network of the Illinois State Board of Elections by exploiting a vulnerability in the SBOE's website. The GRU then gained access to a database containing information on millions of registered Illinois voters, 189 and extracted data related to thousands of U.S. voters before the malicious activity was identified." "Unit 74455 also sent spearphishing emails to public officials involved in election administration and personnel at companies involved in voting technology. In August 2016, GRU officers targeted employees of [redacted], a voting technology company that developed software used by numerous U.S. counties to manage voter rolls, and installed malware on the company network. 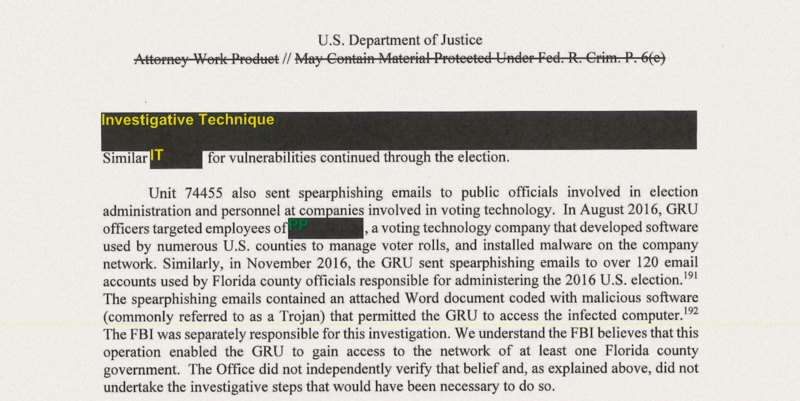 Similarly, in November 2016, the GRU sent spearphishing emails to over 120 email accounts used by Florida county officials responsible for administering the 2016 U.S. election. The spearphishing emails contained an attached Word document coded with malicious software (commonly referred to as a Trojan) that permitted the GRU to access the infected computer. The FBI was separately responsible for this investigation. We understand the FBI believes that this operation enabled the GRU to gain access to the network of at least one Florida county government. The Office did not independently verify that belief and, as explained above, did not undertake the investigative steps that would have been necessary to do so." There is no rest for the wicked. If you think that 2018 was the climax of cybercrime, wait until you see what happens in the next few years as cybercriminals are constantly learning new ways to strike. Take for instance domain-related attacks now coming in a variety of forms. There's domain hijacking which involves gaining of access to domains and making changes without owners' permission. You have typosquatting where phishing is often utilized to steal valuable information. Then there's domain slamming which involves impersonation and can result in registrants incurring hefty fines. To prepare yourself for the onslaught, here are four steps to successfully investigate domain name crime. Identifying entities behind an attack is the first step to take in the investigation process. One way of doing this is by looking into the domain data left behind by the suspect. For instance, if a certain website can be linked to the said attack, a WHOIS database download service can reveal valuable information about the entities behind the domain. Details such as IP address, owner's contacts, and more can be obtained here and help create criminals' profile. Interestingly, even the fake contacts can help identify perpetrators, as these often use the same details to set up multiple domains. Therefore, close examination of WHOIS records of known malicious domains can help connect the dots and can be used as a starting point to track them down. Once you have spotted the offending domain, the next thing to do is to collect evidence of malicious acts. Investigators can take screenshots of suspicious portions of the website, retrieve and save links that lead to strange URLs or bogus login pages. All these can be later used as proof when presented to the proper authorities. For instance, software that can provide a screenshot history of the domain can assist in showcasing data that has been gathered over time. Plaintiffs can present these records to authorities to prove the length of time a fraudulent action has been taking place. During the investigation, specialists might end up with an amount of information that can overwhelm even the most meticulous of veterans. But piecing all of these together is crucial in order to find connections to the suspect domain. Furthermore, this can help you see the bigger picture and uncover more details of the offender's identity. There are platforms and services such as Connected Domains API that can be used to associate domains and IP addresses to the culprit, possibly even unveiling a potential network of cybercriminals in action. After the attacker has been identified, evidence of their deeds collected, and their accomplices revealed, it's time to reorganize networks' cybersecurity. One way of doing this is by disseminating all findings to the organization and making changes to the current procedures. This stage lets you know where your flaws are while allowing you to patch up gaps in defense protocols. This can be employed with a threat intelligence platform, for instance, to reveal vulnerabilities. It's also important that all activities are monitored closely since threat actors would most likely return after the attack. Taking advantage of a security log that analyzes SIEM data can be useful in alerting teams for signs which can be connected to the past incident. Malicious activities involving domains are no laughing matter, especially when numerous companies have already fallen victim to these attacks. This is why organizations will have to learn how to effectively probe threats before they can cause serious problems. By following the steps outlined in the post, readers can obtain guidance on how to efficiently perform investigations regarding domain name crime. Federal Communications Commission Chairman Ajit Pai has opposed China Mobile's Application to provide telecom services in the United States. In a statement released on Wednesday, he announced: "After reviewing the evidence in this proceeding, including the input provided by other federal agencies, it is clear that China Mobile’s application to provide telecommunications services in our country raises substantial and serious national security and law enforcement risks." — "China Mobile USA is a Delaware corporation that is indirectly and ultimately owned and controlled by the Chinese government," as stated by FCC. 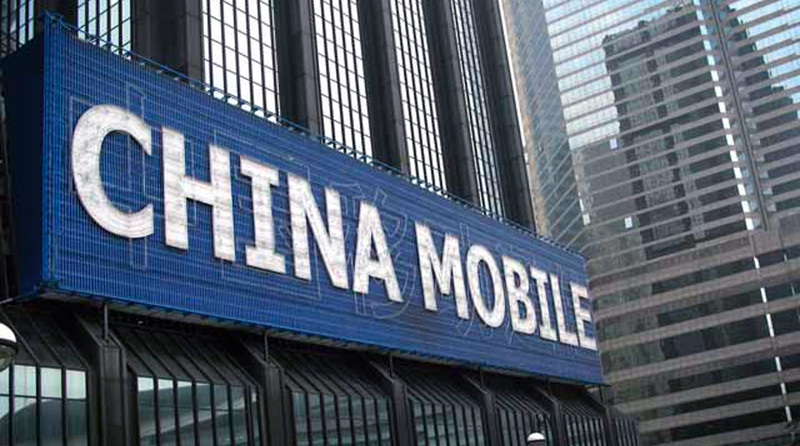 "China Mobile USA is an indirect but wholly-owned subsidiary of China Mobile Limited, one of the largest telecommunications companies in the world." — China Mobile filed an application on Sept. 1, 2011, to provide international facilities-based and resale telecommunications services between the U.S. and foreign destinations. — A much larger U.S. vs. China tech battle: "China could seek to retaliate against U.S. carriers who partner with Chinese providers, much as China Mobile would have partnered with American carriers in the United States," writes Brian Fung in the Washington Post. A team of security researchers on Wednesday issued a stern warning about a DNS Hijacking campaign being carried out by an advanced, state-sponsored actor believed to be targetting sensitive networks and systems. Although the incident is currently deemed to be limited to national security organizations in the Middle East and North Africa, Cisco's Talos security team has warned the success of this operation can lead to broader attacks on the global DNS system. — The attack named "Sea Turtle" is believed to have begun as early as January 2017 and has continued through the first quarter of 2019. "Our investigation revealed that at least 40 different organizations across 13 different countries were compromised during this campaign." — "The actors behind this campaign have focused on using DNS hijacking as a mechanism for achieving their ultimate objectives. DNS hijacking occurs when the actor can illicitly modify DNS name records to point users to actor-controlled servers. The Department of Homeland Security (DHS) issued an alert about this activity on Jan. 24 2019, warning that an attacker could redirect user traffic and obtain valid encryption certificates for an organization's domain names." — "The threat actors behind the Sea Turtle campaign show clear signs of being highly capable and brazen in their endeavors. The actors are responsible for the first publicly confirmed case of a DNS registry compromise, highlighting the attacker's sophistication." — So far 40 different organizations are reported to have been targeted by the attack including Ministries of foreign affairs, Military organizations, Intelligence agencies, and Prominent energy organizations. The report by the Talos security team includes a set of recommended mitigation strategies. Celebrating the 30th anniversary of the internet Berners-Lee, the father of the internet, reiterated his suggestion for a radical change, which would improve the functionality of the internet for the benefit of society. He suggests a sort of refoundation of the web, creating a fresh set of rules, both legal and technical, to unite the world behind a process that can avoid some of the missteps of the past 30 years. While this most certainly would be an excellent development, I am rather pessimistic about a rapid implementation of such a radical change. Nevertheless, his plan contains many possibilities that are worth looking at, to see what we can do in our 'muddling on' process to make changes for the better. "Generations before us have stepped up to work together for a better future. With the Universal Declaration of Human Rights, diverse groups of people have been able to agree on essential principles. With the Law of Sea and the Outer Space Treaty, we have preserved new frontiers for the common good. Now too, as the web reshapes our world, we have a responsibility to make sure it is recognized as a human right and built for the public good." Very few of us would have been able or be in the position to create the internet, but all of us can help in shaping it. The internet reflects humanity; it is a mirror of our society, the good things, and the bad things. For the first 15 years of its existence, it has shown us all the good things it has to offer, over the last 15 years it unfortunately also started to show the uglier side of our society. However, it is up to us to collaborate and ensure that as many as possible of the bad things are being tackled and eliminated, together (people, government and businesses) can do this. I most certainly agree that what we need is more positive government involvement and a radical change from the current market-driven neoliberal approach. While I am all for free market developments, at the same time we also need to acknowledge that some of the structures are now faltering and, rather than burying our heads in the sand, we should acknowledge this. And, yes, legislation for the digital age will be needed to get us back onto a more robust democratic path. This is needed if we want to stay competitive, innovative, and to maintain a free and open society that protects people's individual rights. However, the new way forward should be based on a contract between people, business and the government — 'people' being a critical addition here to similar contracts in the past. And the internet allows this to happen. Each group will have to play its part in this new digital environment. Shareholder-driven short-term profit strategies should be replaced with strategies based on broader stakeholder values. Positive developments here are that staff in large hi-tech companies are standing up against the short-term profit-driven strategies; we are seeing the 'Me Too Movement,' and schoolchildren taking a stand for better policies to address climate change. We also see companies investing heavily in renewable energy, despite government policies in many countries that still support the old fossil-based industry lobbies. A key problem with our political system is that it is far too short-term-based. It often acts on a whim, looking at immediate issues as they crop up and addressing these with bits and pieces of hasty, unconnected regulations and legislation. All these pieces together create the notorious red tape, which then becomes like a bowl of spaghetti that cannot be untangled. What they should do instead is take time, think things through and develop long-term policies and strategies. What we need is far more visionary leadership. While there are many examples around the world of this short-termism, with policies being made on the run, in Australia we can point to, for example, the NBN broadband policies, energy, and climate change issues and the current shocking policy-making mess around cybersecurity. So, change is desperately needed to rebuild trust in our social, economic and political systems. This needs to be a collaborative effort and digital technologies can assist here. There is growing evidence that we are building mass in our society that could form the base from which we can work together. What is needed in order to achieve this is progressive government leadership to facilitate these developments in a more unified and structured way, providing the foundation for a more digitally-based democracy. The internet itself is an example of global collaboration. It is not owned by any individual, business or government. It is 'owned' by millions, if not, billions of people and organizations. It can function therefore as a model for the above-mentioned concept of 'contract' arrangements. As I have mentioned in the past, I also see (smart) cities as an ideal platform for such developments. Building from the bottom up will be much more manageable, rather than trying to take the top-down approach. The challenge will be scaling this, and I do have personal experience here of how difficult it is to get smart cities working together. Furthermore, there's also, of course, the need for more collective action to address larger problems such as for example, national security and climate change. The digital transformation that is taking place in many organizations is creating the conduit for much better collaboration, and we are learning fast. We already see far more equal cooperation between employees and employers, customers and business, and between citizens, bureaucrats, and politicians. The internet has changed and has led to the destruction of many of the old structures — both for better and for worse. But on the positive side, it has changed the way we interact within society. And this can be further exploited for more collaboration. We are also learning that we must address the darker side of the web, and while this is receiving a great deal of (media) attention, we need to put it into perspective. Certainly, digital developments are producing challenging issues such as privacy, cybercrime, cybersecurity, but I would dare to conclude that so far the benefits of the digital transformations outweigh the negatives. Concentrating on the positive, we should continue to use the internet for more and better collaboration and create opportunities for all parties to transform and take an equal share in working for the common good. This is essential if we want our societies and economies to prosper.